What makes Willa Cather such an anomaly in American literature, and why are her late fictions so rarely read in high school and university classrooms? What is it exactly that renders them unclassifiable in the prevailing critical assessments of Cather's work? Why, in other words, are these writings so difficult to interpret? 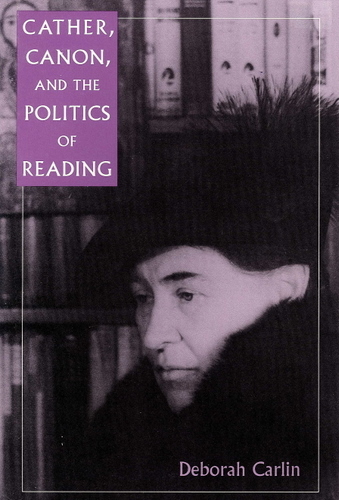 Deborah Carlin addresses these and other questions by examining the ways in which certain reading communities have placed - or, more often, ignored - Cather's complex and unsettling post-1925 fiction within canonical formulations. Employing interpretive strategies drawn from narratology, feminism, and deconstruction, Carlin focuses on five female-centered late fictions: "My Mortal Enemy" (1926), "Shadows on the Rock" (1931), "Lucy Gayheart" (1935), and "Sapphira and the Slave Girl" (1940). She argues that Cather's later works have been largely overlooked for two reasons: they confound reader expectations by revising conventional fictional forms; and they raise troubling questions about race, class, sexuality, and power, especially with regard to women. Carlin's work, besides its focus on Cather's most problematic writings, has a theoretical approach to issues of narrative and gender. Rather than chart Cather's intellectual biography through the texts, as others have done, Carlin shows how the late fictions reflect self-conscious experimentation with narrative form and, at the same time, reveal ambiguous, sometimes contradictory, feminist impulses.